I wrote this post as part of a paid campaign with Brother and Blueprint Social. The opinions in this post are my own. My old-school label maker (you know, the one with the clickety-clack rotation dial that slightly resembles the Starship Enterprise?) has a permanent shrine-like place of residence in my crafty room. I love label makers. Like, LOVE. And when this super duper fancy Brother P-Touch label maker showed up on my doorstep, I started drooling all over the buttons. (So many delicious buttons!) And then I was like, "Mommy's got a new toy." And then my 12-year old was like, "Can I have it, mom?!" And I was like, "No." And then she begged, "Please? Plea-eeeeeeese?!?!" And then I transformed into the Gollum character & started hissing things about my preciousssssss label maker. I do let her borrow the label maker on occasion. But only if she answers a riddle first. So, um, I've just found out that January is National Get Organized Month. Which is why I've chosen to create an art project with my label maker. No, for real, this is an organizational project. Of sorts. 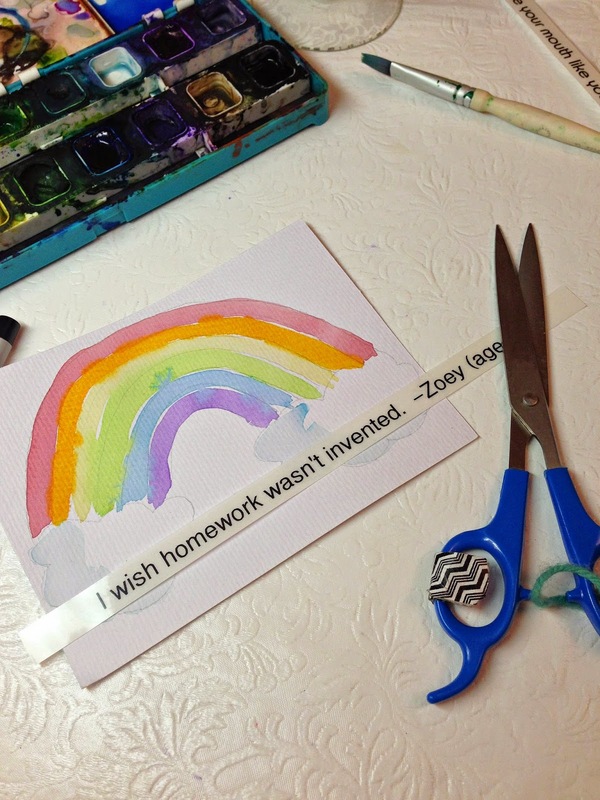 This project is inspired by two of my favorite things (besides label makers): funny things my kids have said, & their adorable artwork. 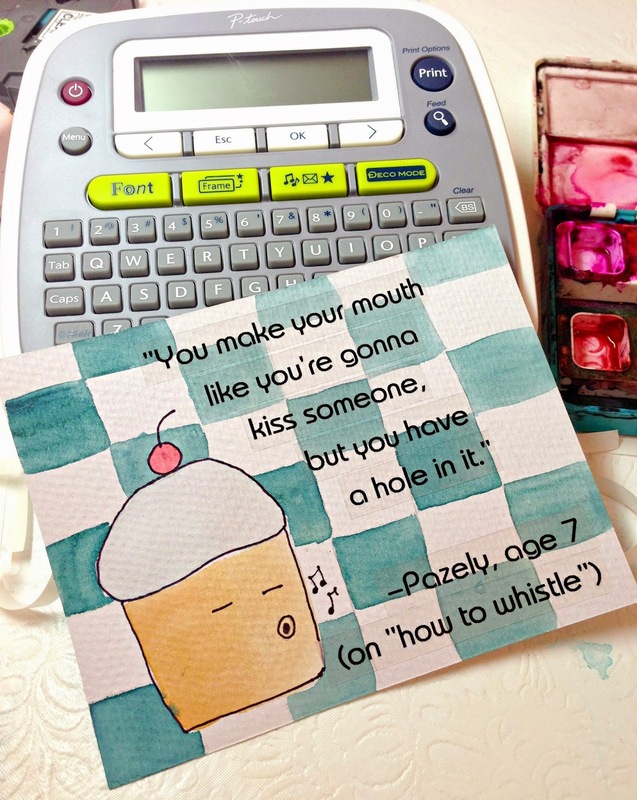 I have tried my bestest to jot down silly things my girls have said throughout the years. 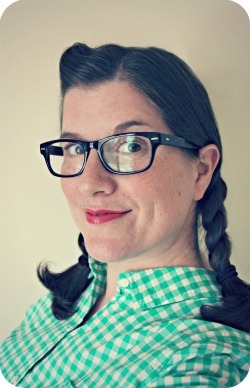 I chose a few of my favorites for this D.I.Y. tutorial. 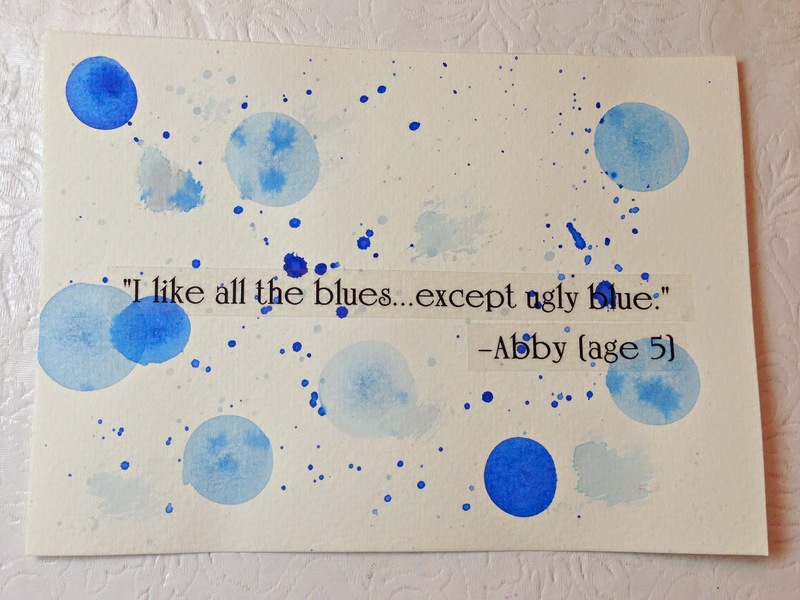 I even snuck in a quote from my niece, Abby, & another from the Mr.
And what parent doesn't have gobs of their kids' art from school, piled in nooks & hiding in crannies? Seriously, how many layers of this stuff can one fridge handle? I'm always trying to find something creative to do with that artwork before it gets "lost". So, see, this will help you pull out that mess of masterpieces & get them sorted immediately! So, first things first: pick out your favorites, & when the littles aren't looking, gently place the rest of the pile in the "recycle bin". 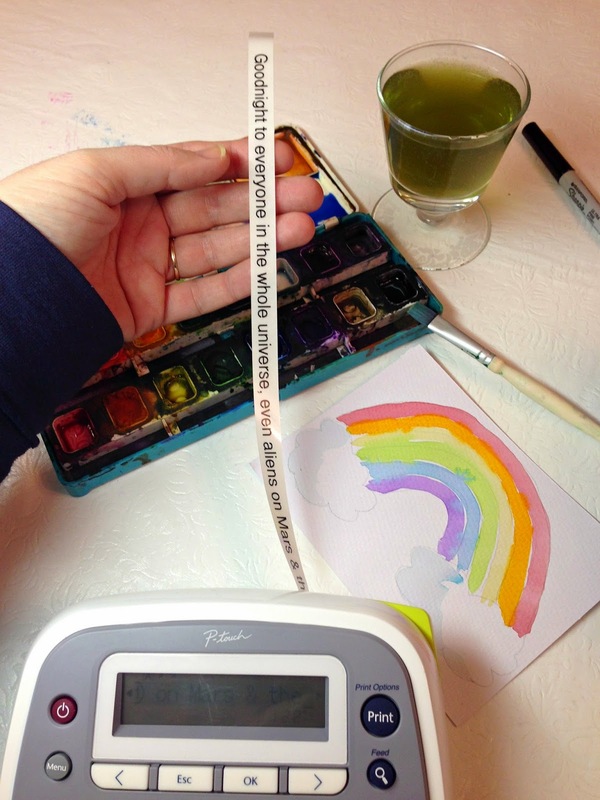 Besides the Brother P-Touch label maker, you'll need that artwork from your kids. 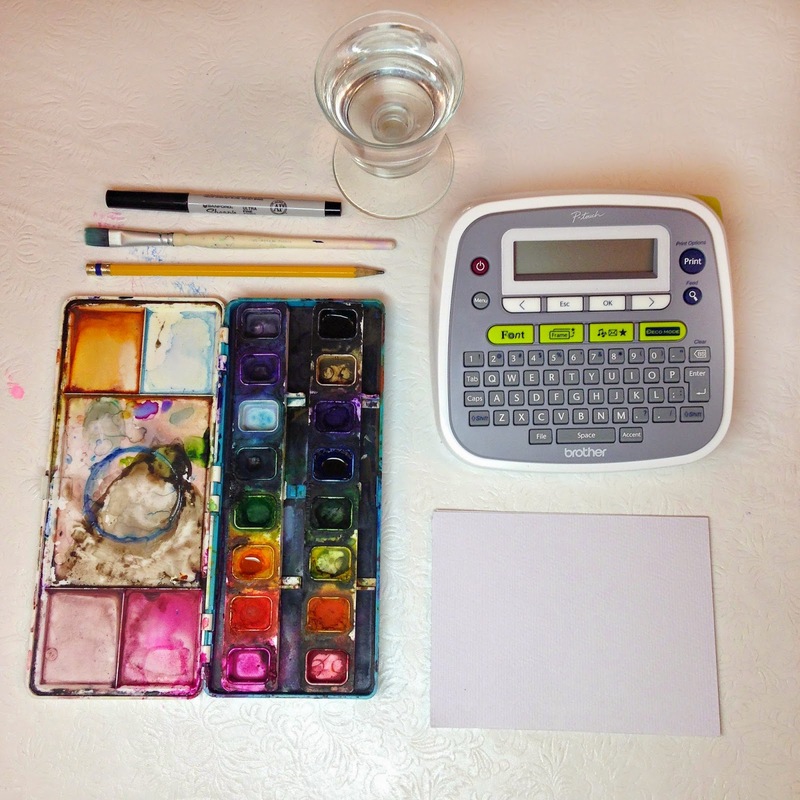 OR, if you want to create some new artwork, then grab a blank canvas + art supplies. 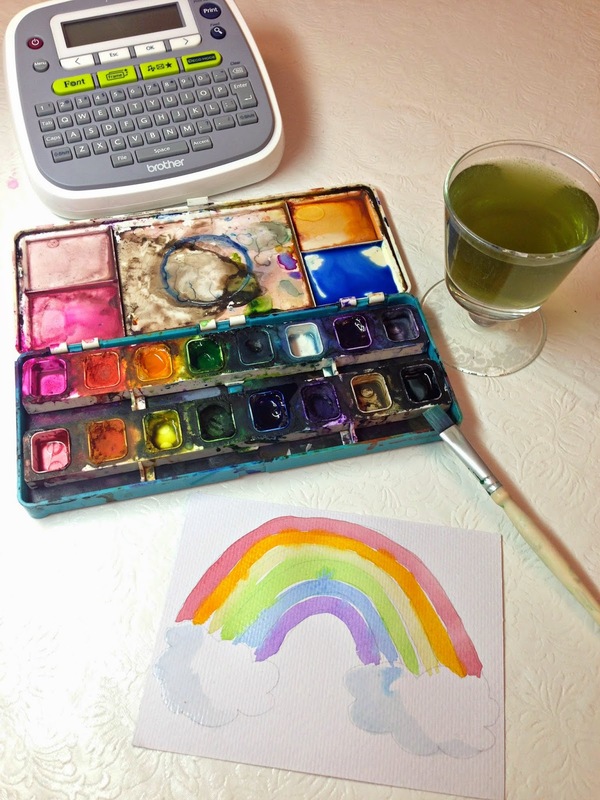 (I chose to do some watercolor paintings as gifts.) 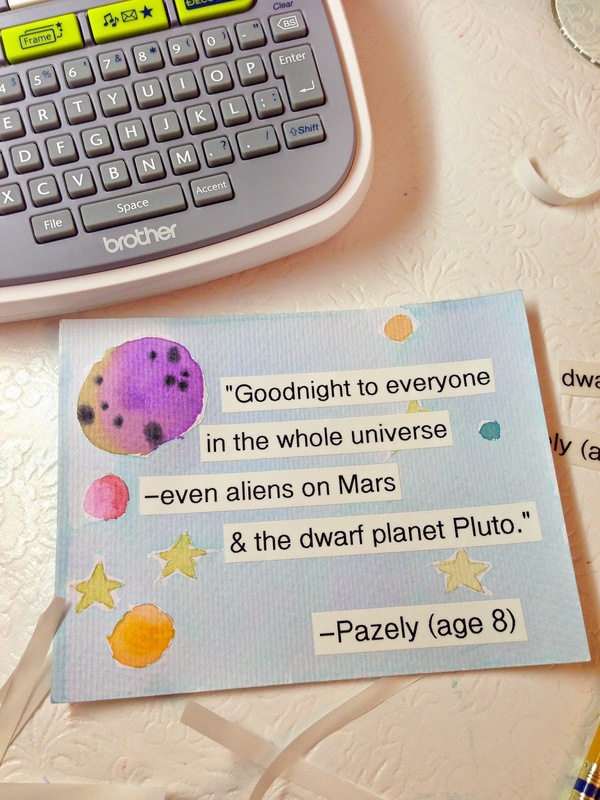 But you can draw with colored pencils, crayons, ink, or pastels. Or paint with oils or acrylics, too. Whatever medium you choose, pick the appropriate drawing/painting surface. Create a new masterpiece or find a treasured art project from that pile we mentioned earlier. Next, you're ready to print out your quote. 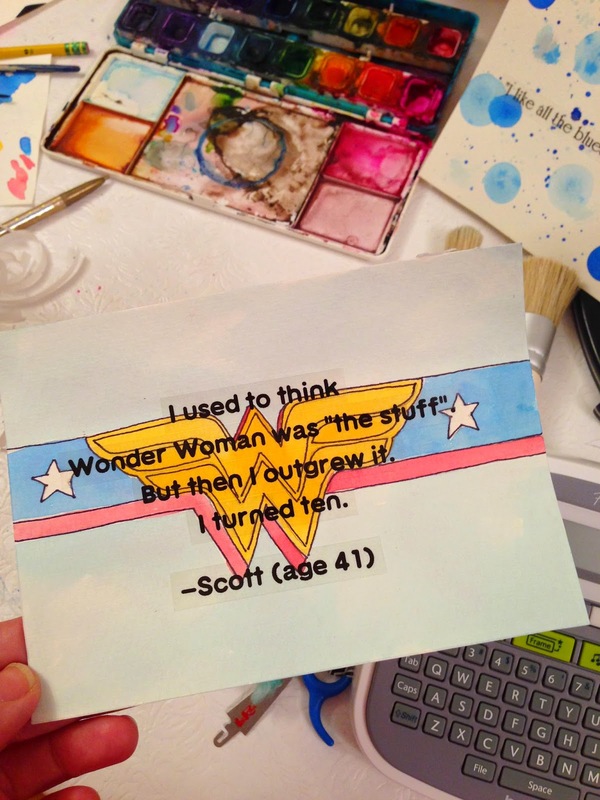 If you don't have a quote from your kids, find a quote from your favorite author or philosopher. 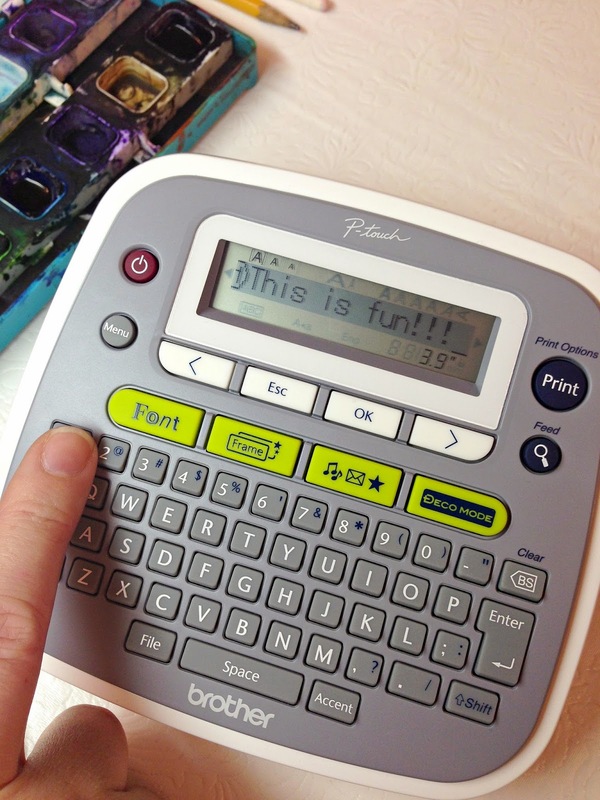 When you're ready to print you'll find different fonts to choose from on the Brother P-Touch label maker. You can also adjust the size & width of the font, add borders or symbols, print horizontal or vertical, save label designs for future use...it's so much fun! When your artwork is dry, position the words or phrases on the page until you get it exactly how you like it. 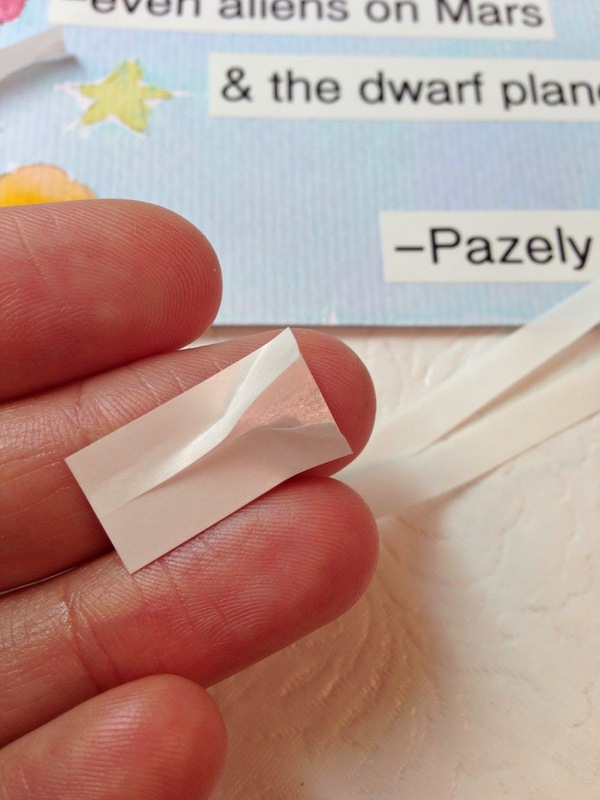 (Cut the words or phrases with scissors to fit your design.) THEN, when it looks just right, peel off the paper backing & stick the labels onto the art. One of the best things about the labels is how they peel off the paper backing. Not gonna lie: Before I read the directions, I spent 5 minutes trying to get the paper backing off those labels. But then I realized if you fold the label in half the long way, the paper backing comes off in two little strips! So easy. And quick! 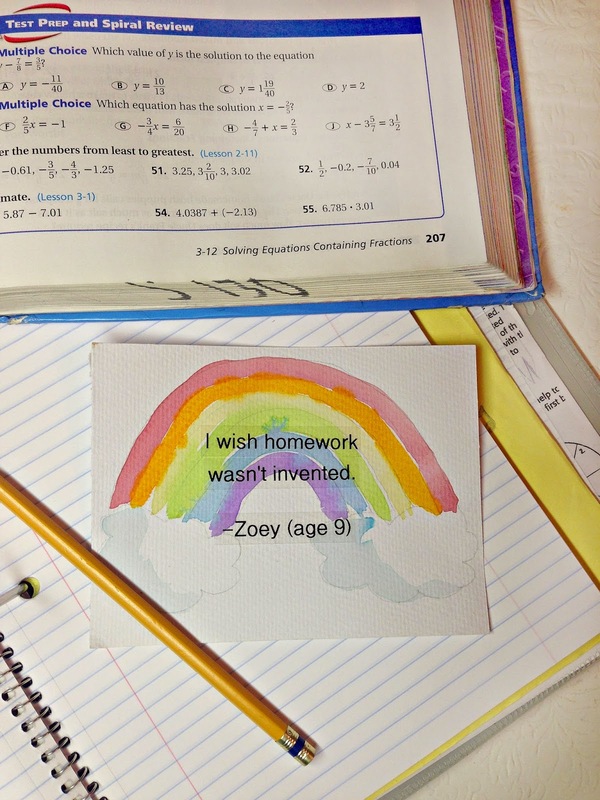 Frame the Quote Art, or slap it on the wall all artsy-ish with washi tape. I had fun playing around with both the acid-free clear label tape AND the white tape. Brother is giving away a P-Touch label maker every day in January, as well as a Grand Prize pack worth up to $2000. Click HERE to find out more—& enter to win! To find a label maker that's just right for you, visit Brother's product selector HERE. For inspiration on how the Brother P-Touch Label Maker can help you get organized in every room of your home, check them out on Facebook, Twitter, Pinterest, and YouTube! The Daily Banana: Label from Nikki/WhiMSy love on Vimeo. It's fun to the variety of projects people are coming up with for this label maker. Yours is very sweet. So creative, love this idea! Pinned!